For many Canadians, the road to a comfortable retirement is becoming longer and more difficult. A large portion of the working population is living paycheque to paycheque, unable to save, and worried about their local economy, according to a survey by the Canadian Payroll Association (CPA). Many working Canadians are barely making ends meet, found the survey of more than 5,600 employees across the country. Almost one-half (48 per cent) said it would be difficult to meet their financial obligations if their paycheque was delayed by even a single week (consistent with the three year average of 47 per cent). And 24 per cent said they likely could not come up with $2,000 if an emergency arose in the next month. 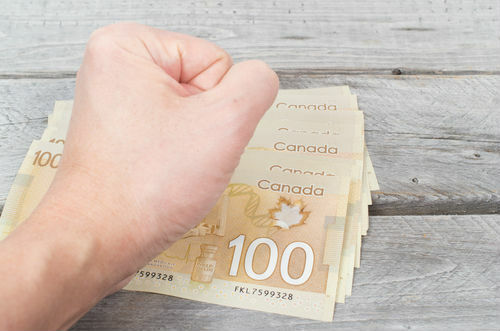 “A significant percentage of working Canadians carry debt, have a gloomy view of their local economy and are fearful of rising interest rates, inflation and costs of living,” said Patrick Culhane, president and CEO of the CPA. Survey data suggested household income growth has stalled, as respondents said household income above $100,000 has hardly increased in five years, according to Alec Milne, principal at research provider Framework Partners. However, only 28 per cent of respondents cited higher wages as a top priority — down from the average of 34 per cent over the past three years. Instead, 48 per cent are most interested in better work-life balance and a healthy work environment. Employees’ spending and debt levels have affected their ability to save, found the CPA. Forty per cent said they spend all of or more than their net pay, and 47 per cent are able to save just five per cent or less of their earnings (far less than the 10 per cent of net pay recommended by financial planning experts). More than one-third (39 per cent) of working Canadians feel overwhelmed by their level of debt, up from the three-year average of 36 per cent. Debt levels have risen over the past year for 31 per cent of respondents. And 11 per cent do not think they will ever be debt-free. The most common debt is mortgages (26 per cent), credit cards (18 per cent), car loans (17 per cent) and lines of credit (16 per cent), with credit card debt being the most difficult to pay down. Over one-half of respondents (58 per cent) said debt and the economy are the biggest impediments to saving for retirement. Half think they will need a retirement nest-egg of at least $1 million, and 75 per cent project that they will not be able to retire until at least age 60, said the CPA. Unable to save adequately, the vast majority of working Canadians have fallen far behind their retirement goals, with 76 per cent saying they have saved only one-quarter or less of what they feel they will need. Even among those closer to retirement (50 and older), 47 per cent are still less than one-quarter of the way to their retirement savings goal, found the survey. Nearly one-half of employees (45 per cent) now expect they will have to work longer than they had originally planned five years ago, primarily because they have not saved enough. Respondents’ average target retirement has risen to 62, whereas these same respondents’ target retirement age five years ago was 60.